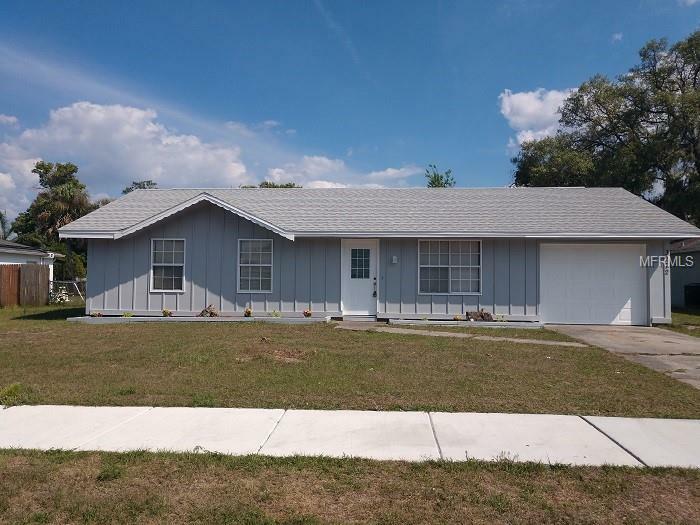 This Beautiful Three Bedroom, One Bath, One Car Garage Home has a BRAND NEW ROOF and is Freshly Painted on the Inside and Outside and it is Move-In Ready. The Entire Home has Gorgeous laminate throughout and brand new carpet in bedrooms. The Kitchen is Spacious and has Newer Appliances, Pantry, Lovely Cabinets and Lots of Counter-Space. House has all new doors and New Fans/Lights. THE BACKYARD IS HUGE!!!!! and is Completely Fenced-plenty of room for kids to run around or a pool and/or garden. Don't miss the opportunity to own this lovely home.